Bitcoin is the digital cryptocurrency, secured through encryption, having no bills and physical coins. The existence of the currency is highly dependent upon the network of users who work together to process and verify the transactions made digitally. This chain of users and the transactions is what forms bitcoins or the digital cryptocurrency. He quite purposefully pitched the idea of maintaining a decentralized system for making transactions in a peer-to-peer network. It was not long after the launch of this paper that this idea of digital currency became a reality. The author himself was the first one to mine first bitcoins in January 2009. This idea of a digital currency was highly appreciated by the cryptographers and anarcho-activists, who in bitcoins, found the liberation from government rules, accountability, regulations, and surplus charges. The first time bitcoins were ever used in a transaction was in 2010 when a programmer, Laszlo Hanyecz from Jacksonville FL, paid digitally to his fellow for some Pizzas from Papa John’s. The bitcoin started to gain value over time. Beginning from $1 in around 2011, bitcoin became popular. Gradually, the things started to get better, and bitcoin value boomed to a good $200 in 2011, October. Unfortunately, that didn’t last for long as a hacking incident resulted in the crash of Bitcoin’s value. It was late November that year when Bitcoin again boomed to its highest value which was $1242. These facts show that the value of this currency was never under anyone’s control. It could rise or fall anytime to any level. Bitcoins are just like any other currency that you process. Physical currency is the one, for which you make your transactions, the banks keep records of all your withdrawals and deposits in its ledger and process. Just like that, the bitcoins are transacted and kept, but the only difference with bitcoins is that the responsibility of keeping a track over transactions and maintaining ledgers comes on the entire community or network of people. There is no one accountable for keeping a check on what transactions are made. A file is maintained which is termed as the “blockchain.” This file is open to all and acts as a ledger for the bitcoin transactions made in the community. People in the network have no bank account numbers. Instead, they have encrypted addresses. If anyone buys any bitcoins, they are allocated to their address and then kept as a record in the blockchain with that address. Well, Bitcoin has given a completely new dimension to the concept of currency. It is an independent system with no one looking after it. In this era, where technology and automation are taking over everything, this digital cryptocurrency is on the top of the list. Bitcoins system of currency is completely free of corruption and has no threat of a central bank system, incorporating regulations that are more advantageous to the bank than they are to the users. It is completely free of the toxic strategies of the banking which aim to take control of your finances. Bitcoin allows one to enjoy an independent, free, and most importantly an identity free access to a financial system. Bitcoins have eased things by allowing anonymous payments. This system of currency allows the user to make instant payments through cheap and easy transfers across international borders. It has considerably eased things for people who have limited or no access to banks or other transaction systems which is a significant factor in developing countries like Pakistan. Let’s see how Bitcoins have evolved in Pakistan and how important they are for the country. As discussed earlier, Bitcoins are of crucial importance when it comes to the developing countries, where a lot of people do not have access to banks, especially in remote areas. Pakistan is home to 100 million adults without a bank account, with 13 percent adults citing religious concerns as a reason for not having an account at a financial institution, a World Bank report on the use of financial services revealed. Urdu bit decided to target the Freelance market of Pakistan for whom the money exchange or cash payments are an issue. Freelancers were a huge market in Pakistan at that time (May 2016) too. To accommodate such a massive number of users, Urdubit decided to partner with Bitwage. But all this was ceased as Urdubit announced to shut down all of a sudden! 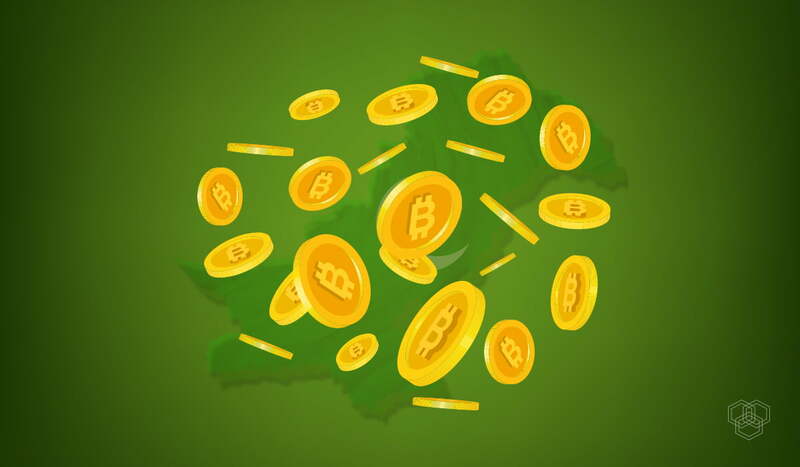 For quite a long time there appeared no government stance over the regulation of Bitcoins in Pakistan. The issue was only rendered to debates and articles where people presented the pros and cons of using bitcoins in Pakistan. One of the reasons for the confused, rather disputed opinion about bitcoins was its alleged use in money laundering activities worldwide, making the digital currency extremely volatile. Few rendered it to be an issue with the transparency of transactions which is essential with the state bank of Pakistan. So anytime that the bitcoins are to be approved, there needs to be a transparent mechanism to accept the system nationally. The issue never came up on a bigger platform to be discussed until the end of the year 2017. Shariah law requires currency to be tangible (having evidence of existence) and have a stable market value to be halal. This issue was addressed by the Medina Kalimullina, who is the adviser on Islamic Economics and Finance of the Russian Muftis Council. She opened up a discussion of creating halal cryptocurrency. She came up with a conclusion that there was no Shariah law for the usage of the bitcoin till the moment. Therefore, whether the bitcoins are permissible in Islam or not was yet to be decided. She hoped that within the coming years, there would be a law under which one could declare the bitcoins as either halal or haram way of financing. “Sharia standards do not cover this issue yet, but in the perspective of two or three years they can be developed,” Kalimullina said after a conference in Kazan. The concern that majority of Muftis had over the bitcoin currency was the lack of regulation and volatility associated with bitcoins. Scholars who participated in the conference mutually ended on the point that there was no final verdict over the issued raised. It needed more analysis and formation of law to get the issue resolved. “Among the main arguments against Bitcoin is a high degree of risk (maisir) and uncertainty (garar), a lack of provision of real assets and state guarantees,” Kalimullina said. It was almost January 2017 when the federal Investigation Agency recommended the government of Pakistan to declare bitcoin/digital currencies illegal in Pakistan. Not only did the institution recommend the government to declare it illegal, but also advised taking strict action against anyone who violates or goes against the ban. “Bitcoin / digital currency is not recognized by State Bank of Pakistan as a legitimate business and are causing huge monetary loss to the government exchequer. So it should be declared illegal with the inclusion of definition and distinct punishment of this emerging crime”, according to the cybercrime bill. The fact was stated well in PECA documents. Though the State Bank of Pakistan termed digital currencies illegal, there was no law that could be applied to this situation. Therefore, the cybercrime bill was proposed to make this act the part of state law. On 6th April 2018, the state bank of Pakistan banned cryptocurrencies in the country. The state bank of Pakistan declared that all types of cryptocurrencies which include Bitcoin, Litecoin, Pakcoin, OneCoin, DasCoin, Pay Diamond or Initial Coin Offerings (ICO) tokens are not legal or guaranteed by the state bank of Pakistan. Although the State Bank of Pakistan advised the public to refrain from the use of cryptocurrency, it doesn’t put a straight ban due to the absence of a formal law to address this issue. Just like the Reserve Bank of India, state bank of Pakistan also cautioned the users of cryptocurrency about the fraudulent activities that might result as a result of digital currency usage. As the SBP kind of banned the cryptocurrency, the first Bitcoin exchange Urdubit decided to shut down, as FBR was already tracking and going against people involved in bitcoin trade. On April 12, 2018, Urdu bit announced that it canceled all the orders after the SBP rolled out the circular. With the SBP circular out there and FBR tracing people who are involved in the trading of bitcoins, the things are quite awkward. Everyone knows that bitcoins are not prohibited in the law of Pakistan. The tech guru, and renowned payment expert, Faisal Khan conducted in-depth research to find out if the law anywhere in any form limits people from the use of bitcoins, but failed to find even single evidence. Where do we see Bitcoins Globally in the future? The world is moving towards a cashless future but not entirely with the bitcoins. Bitcoins or cryptocurrency can replace a lot of applications and processes, but it can never eliminate the physical cash. It does have the anonymous transaction feature along with a safe peer-to-peer transaction involving no intermediary. However, the one flaw that remains there with bitcoins is that it can hold nobody accountable for its value. The value of bitcoins, unlike the physical currency, is not controlled by a central bank and the results can be fatal. The value of the money can anytime fall to zero making it a lot volatile which is why it is safe to say that bitcoins can never replace the physical money but can be used side by side. Since the bitcoins became famous worldwide, a lot of investments were made in Silicon Valley too. Many entrepreneurs of Silicon Valley from Pakistan tried to pursue opportunities that came from digital currency. Undoubtedly, for developing countries like Pakistan, the use of a system that is cheaper, easier and transparent in recording transactions can be a good option for many. For people who don’t have their bank accounts, which is estimated to be around 2 million, these blockchain and digital currencies are a blessing. Not only this, a huge number of freelance workers saw great hope in using this digital currency system which would save them from higher transaction charges and many other issues that they could have faced otherwise. As mentioned earlier, no law restricts the use of bitcoins in Pakistan except the fact that the SBP doesn’t support or appreciate the use of digital currency. The regulation of bitcoins through the government platforms seems a dream only, as this is something that is not possible anytime soon. But, one should realize that cryptocurrency does not necessarily need to be regularized through the government like the physical currency. It can be taken alongside the central bank system as this way of the transaction has eased a lot of problems for many people in Pakistan. With no physical bank presence required and no staff to take care of, a lot of money can be saved to run this transparent and standardized financial system in Pakistan. Pakistan’s National Financial Inclusion Strategy should look into the matter to find out if there the digital system of currency can be incorporated as something good for people who strive for a better, safer, anonymous and transparent financial system.